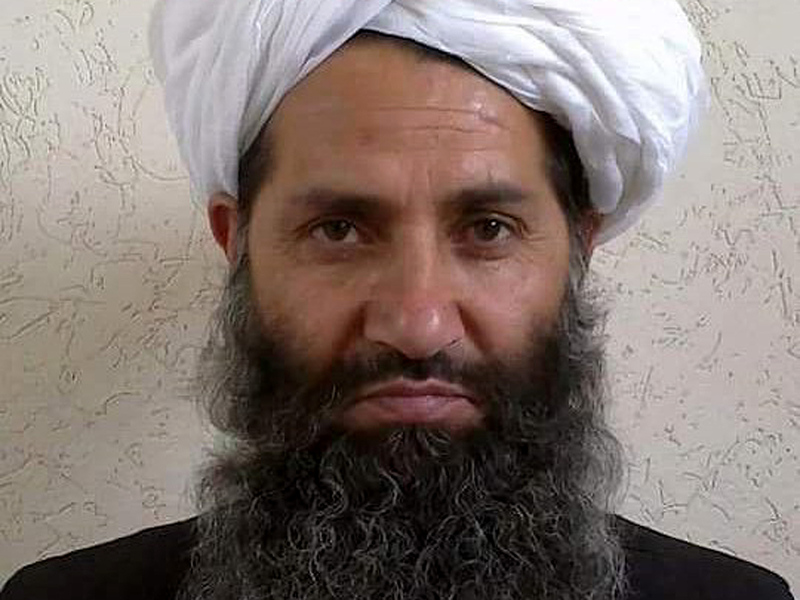 KABUL, Afghanistan -- The Afghan Taliban confirmed on Wednesday that their former leader, Mullah Akhtar Mansour, was killed in a U.S. drone strike last week and that they have appointed a successor. In a statement sent to media, the insurgent group said its new leader is Mullah Haibatullah Akhundzada, one of two Mansour deputies. It said he was chosen at a meeting of Taliban leaders, which was believed to have been held in Pakistan. Mansour was killed in Pakistan on Saturday when his vehicle was struck by a U.S. drone, an attack believed to be the first time a Taliban leader was killed in such a way inside Pakistani territory. Pakistani authorities are believed to have given shelter and support to some Taliban leaders over the Afghan border. The insurgents have been fighting to overthrow the Kabul government since 2001, when their own Islamist regime was overthrown by the U.S. invasion. The U.S. and Afghan governments said Mansour had been an obstacle to a peace process that had ground to a halt when he refused to participate in peace talks earlier this year. Instead, he intensified the war in Afghanistan, now in its 15th year. Mansour had led the Taliban since last summer, when the death of the movement's founder, the one-eyed Mullah Mohammad Omar became public. Mansour ran the movement in Mullah Omar's name for more than two years. The revelation of Mullah Omar's death and Mansour's deception led to widespread mistrust, with some senior leaders leaving the group to set up their own factions. Senior Taliban figures have said his death could strengthen the movement, as he was a divisive figure. The identity of his successor was expected to be an indication of the direction the insurgency would take, either toward peace or continued war. Akhundzada is a religious scholar known for issuing public statements justifying the existence of the extremist Taliban, their war against the Afghan government and the presence of foreign troops in Afghanistan. His views are regarded as hawkish, and he could be expected to continue in the aggressive footsteps of Mansour. CBS News' Sami Yousafzai says Akhunzada had a reputation as a ruthless judge in the Taliban court in Kandahar under Mullah Omar's rule. With Akhunzada's appointment, "the Taliban seems going back to the stone age," says Yousafzai, adding that his leadership will likely deal a significant blow to any hopes of political reconciliation in Afghanistan. While Akhunzada lacks military command experience in the group, Yousafzai says he has been a powerful preacher of Taliban propaganda and a successful orator, which has enabled him to draw young Afghan men into the movement. Wednesday's statement said two new deputies had also been appointed - both of whom had earlier been thought to be the main contenders for the top job. They are Sirajuddin Haqqani, who was also one of Mansour's deputies, and the son of Mullah Omar, Mullah Yaqoub. The Taliban statement called on all Muslims to mourn Mansour for three days. It also attempted to calm any qualms among the rank and file by calling for unity and obedience to the new leader. "For the protection and development of our cause, it is a religious obligation on everyone to pledge allegiance to the newly appointed leader ... and continue their struggle under his truthful leadership," the statement said. Meanwhile, an Afghan official said a suicide bomber struck a vehicle carrying court employees in Kabul Wednesday, killing 10 people and wounding four. The casualties include both court workers and civilians, the official said. No group initially claimed responsibility. The last major attack in Kabul was on April 19, when a massive bomb killed 64 people and wounded hundreds.